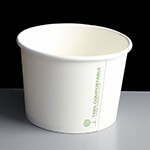 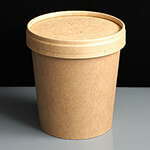 Our range of soup containers below are compostable and biodegradable as well as being made from high quality heavy duty card. 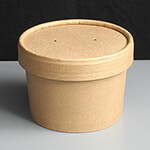 With a single PLA coating, the containers degrade or compost depending on how they have been thrown away. 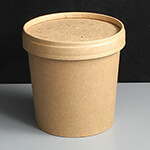 They don't have to be only used for soup as they have good thermal properties so are also suitable for cold foods such as ice cream and frozen yoghurt as well as hot items like pasta and porridge.